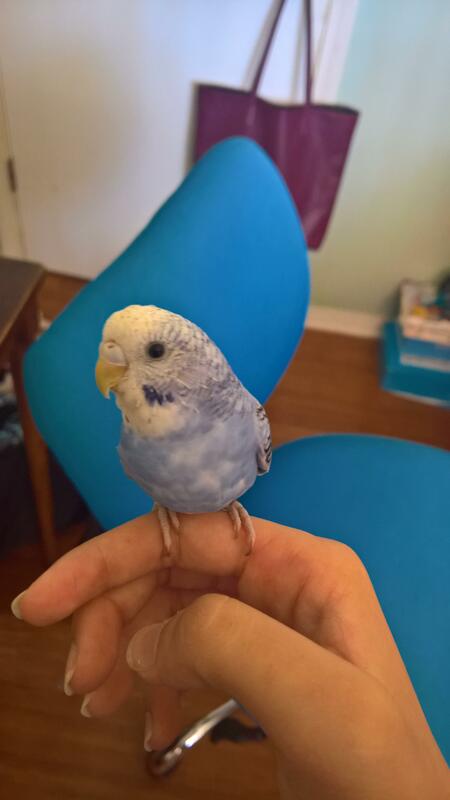 Blue budgeriar, adolescent, pinkish-brown cere, beautiful blue almost light purple-ish coloring. Last seen on April 13, 2019 when he flew through an opened door and onto Glencove Avenue. Since he hasn't had any food since he went missing, he will be hungry/ weak and approach humans for help. Would really appreciate if anyone who found him/ saw him would be able to contact me at 818-279-4723, as he was a gift from a relative who passed and a valuable member of our family. Thank you!